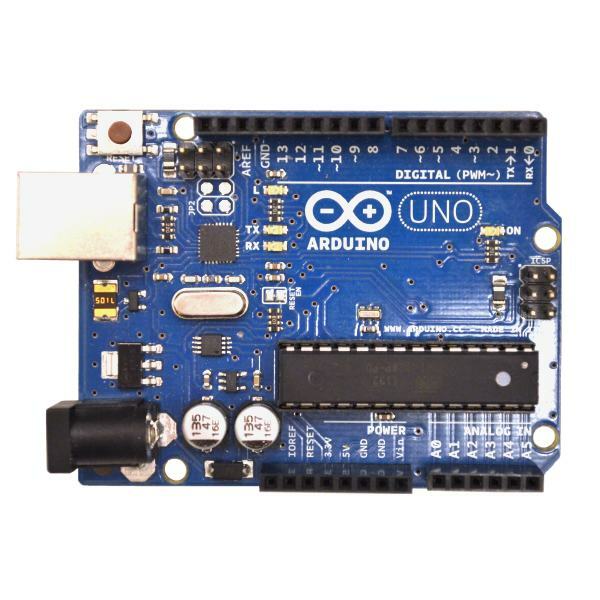 A Genuine Arduino Uno R3 is the perfect microcontroller brain for your first robot and powerful enough for all your small robot projects. This is a Genuine Arduino microcontroller with all of the great features you expect from the Arduino team. As one of the most popular microcontrollers on the planet, you are sure to find plenty of guidance on the Internet for your next robot project. If you have never tried using an embedded microcontroller platform before, then we highly recommend starting with a Genuine Arduino Uno. These controllers are very easy to use. If you are an experienced roboticist then you probably already know how great these boards are for rapid prototyping and embedding in a wide variety of projects. They can be used as the brain of your robot or as a secondary controller for your robot’s motors and sensors. Every robot builder should have one of these in his or her toolbox. 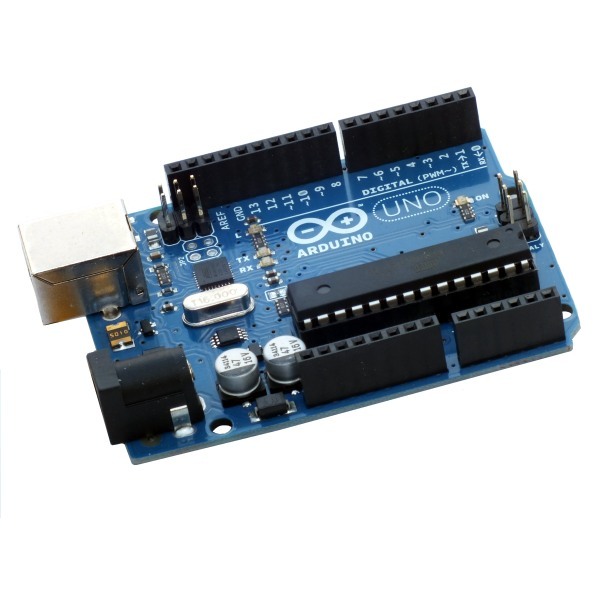 The Arduino Uno is a microcontroller board based on the ATmega328 processor. It has more than a dozen digital input/output pins and a half dozen analog input pins. It contains everything needed to support the microcontroller - simply connect it to a computer with a USB cable to get started. After programming, let it run on batteries to control your robot. Browse our store for compatible shields that plug right onto the Arduino for extended functionality. This model has a handy DIP socket that allows advanced developers to program ATmega328 microcontroller chips for use externally. 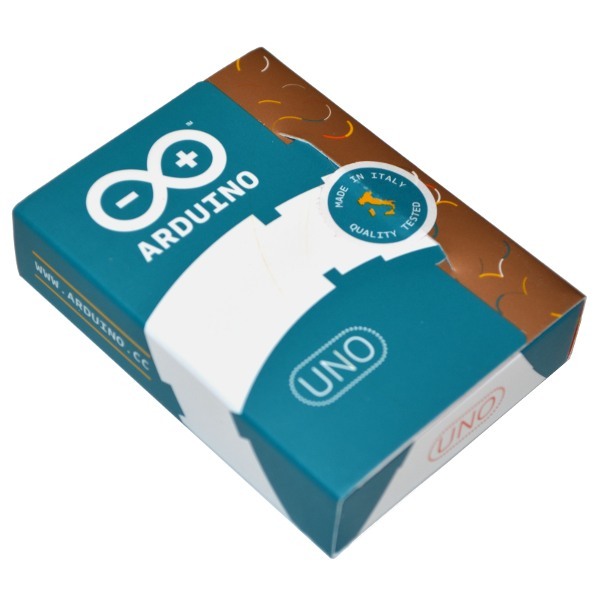 See our Articles for more information about the Arduino Uno.